The airlift started on November 24th. In the first five days there were just 43 aircraft available for delivery of supplies with sorties flown starting at 42 and declining to 14 by November 27th. These delivered an aggregate of 351 tons in the first week or an average of about 50 tons per day. On November 29th, the number of aircraft rises to just over 100 and between that date and December 23rd remains between 100 and 150 roughly available. These make 1809 sorties or an average of 72 per day. There are two days where zero sorties are flown. One a few days the number of sorties flown slightly exceeds the number of aircraft available. On most, far fewer sorties than available aircraft are flown. Tonnage flown in varies wildly as a result. Discounting the no flying days, the best day is December 7th with 362.6 tons delivered. On most days if the sortie rate hits about 75 + about 100 tons arrives. The big problem with the tonnage is clearly that most of the aircraft being used simply can't deliver much per sortie. The Ju 52 was the most common transport followed by the He 111. 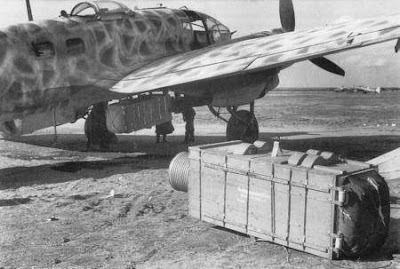 The He 111 was a poor transport with only limited space inside for supplies. So, the Germans were expending a considerable effort to fly in very limited supplies on these planes. The Ju 52 and handful of other transports were doing the heavy lifting. Add in the use of one-way gliders for somewhat more lift. Using bombers was basically a waste of time. After December 23rd, the number of operational aircraft starts to fall and never exceeds 100 until late January. Most days 60 to 80 planes are available and these are delivering around 100 tons give or take about 20 tons per day. The low operational rates, given that 400+ aircraft were in theater for this operation is a major problem. The sortie rate rarely exceeds one per plane per day. That too is very poor. The conclusion I'd reach is that the Luftwaffe did a very poor job of putting sorties out to haul supplies... Assuming supplies were copious and available... There are a few days where 200 to 300 tons were delivered. That tells me that supplies were likely sitting awaiting delivery far more of the time than not. Now, if the Luftwaffe could have reliably sustained say 200 sorties a day with the available aircraft due to better serviceability and / or multiple sorties per day and were delivering less than the 200 to 400 tons those sorties could have carried then you have an argument that the supply bottleneck was the primary cause of failure. I'd say an operational rate of aircraft hovering around 25%, often less, coupled with a sortie rate that was generally around 50 to 75% of the available aircraft and rarely exceeded one per aircraft per day was the problem. By comparison we might look at the Berlin airlift, Bastogne, or Market Garden. The Western Allies did far better at using aircraft to haul supplies and deliver them than the Luftwaffe did. The combination of far better airfields, better navigation equipment, and far higher serviceability rates made their airlifts far more successful. Just the presence of something like the Allied Rebecca / Eureka homing system could have made the available He 111 using canisters far more efficient in that they would be accurately dropping these on a known location they could home in on. The pocket was large enough that with such a system 100% or close to it would have been recovered. Complaints by 6th Army that air drops were wildly inaccurate would have disappeared. I am not convinced : we know that prior Uranus the supply situation was very bad (only half of the needed supplies arrived ) and there is no indication that the supply situation became better post Uranus ,it is by the way very unlikely that it could become better in the first weeks after Uranus . I do not believe that during the 70 days of the siege of Stalingrad, there were at the airfields outside Stalingrad a lot of supplies waiting to be transported to Stalingrad and that this did not happen because of the problems of the LW . 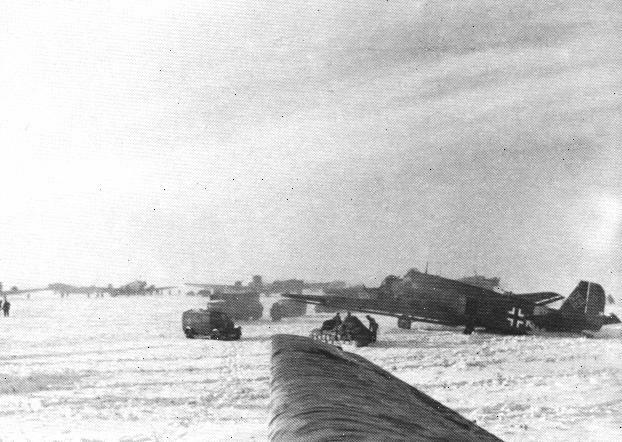 I think that it is more likely that during the 70 days of the siege of Stalingrad, there were at the airfields outside Stalingrad a lot of aircraft waiting to transport supplies to Stalingrad and that they were waiting vainly,because not enough supplies were arriving . We also don't know how the supplies were divided after Uranus : = if after Stalingrad more supplies were earmarked for the men encircled at Stalingrad than for those outside Stalingrad or if it was the opposite . About the Western Allies : you forget one important thing that made their airlifts more succesful= the availability of more supplies . ljadw wrote: I am not convinced : we know that prior Uranus the supply situation was very bad (only half of the needed supplies arrived ) and there is no indication that the supply situation became better post Uranus ,it is by the way very unlikely that it could become better in the first weeks after Uranus . One thing to remember, is that the Luftwaffe was already flying in lots of supplies to support 6th Army well before the encirclement. In fact, supply flights had cut heavily into air support operations. This was due to the pathetically bad ground transportation situation with AGS. If I recall correctly (this is without looking all this up) the Wehrmacht's main rail line ended at Stalino like 300 miles from Stalingrad. From there most transport for supplies forward was by truck or wagon. 6th Army and AGS had stripped most divisions of their intrinsic transport to help move supplies forward leaving the frontline units virtually static. There was a single rail line forward closer to Stalingrad, but it was in poor shape and could only handle a few trains a day at most, far less than the supply requirements of the army. To help make that up, the Luftwaffe was flying in many critical supply items. So, in the case of the Luftwaffe, they were already overstretched and worked. It's also not like the Luftwaffe hadn't successfully carried out such airlifts before. Both the Demyansk and Kholm pockets were sustained successfully by air. Part of the problem this time was the best forward airfields, such as the one at Tazinskaya, fell as part of the encirclement. The Luftwaffe was forced to fly longer sorties limiting the number per day that could be maintained. The lack of airfields within the encirclement was also a big issue. This limited the number of landings that could be made severely. It was also possible that some of the available aircraft could have been used to shuttle critical supplies forward to the airlift fields from further back in the Reich. 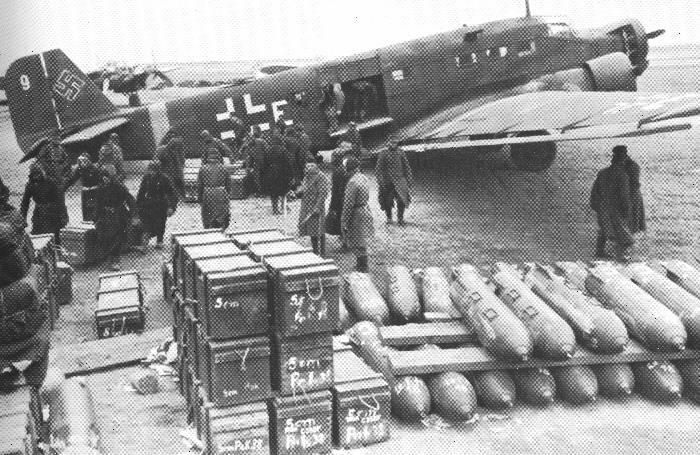 As for Allied air lifts: What made them successful was they delivered supplies accurately on drop sites (1st British Airborne being a notable exception when 5 out of 6 drop zones were either overrun or had their Rebecca transmitters fail), had well organized and usually mechanized loading and unloading of aircraft in place, and were far better scheduled. Additional airfields were built to handle aircraft. These used mechanized means to rapidly construct them. Unloading the planes was well organized and used vehicles to haul the supplies off. Even using wagons, these could have been staged for efficiency at both ends. 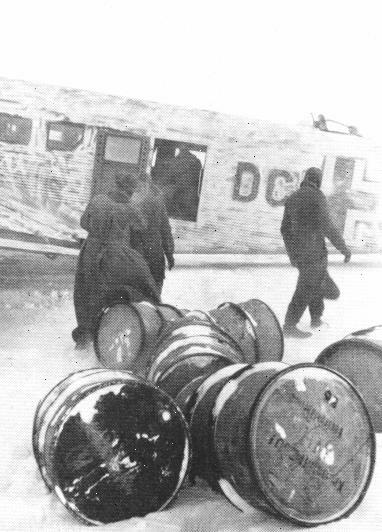 But, without accurate drop zones these canisters / containers were often hard to recover particularly in deep snow. T. A. Gardner wrote: The Luftwaffe was forced to fly longer sorties limiting the number per day that could be maintained. The lack of airfields within the encirclement was also a big issue. This limited the number of landings that could be made severely. That's why optimally runway space in the kessel has to be reserved for planes that provide maximum freight per landing - SM.82s which even historically should have been working by early December, with Pitomnik reserved for SM.82 operation, while Tante Ju's use the other strips and He111s mostly do strictly drops, possibly operating from Salsk. That should be the least problem, the forces in the kessel had an excess of men as proven by the 90k taken prisoner at the end of the siege. With good organization the local airlift would have started as soon as the decision to move the 22nd Panzer behind the 3rd Romanian was taken (~November 15) and would have brought critical supplies (ammo) to the Romanians. The 3rd Romanian did fight to the last bullet (although obviously not to the last man). For the OKH to move a Panzer divisions it means they agreed with the Romanian assessment, but went half-assedly about it. What were the number of JU52's available in total in all theathre's of operation with the Luftwaffee in 1941-1943? Were their numbers never greater than 1500 in total, taking into account the heavy losses in Crete and NA as well as at the Eastern Front? Couple sources I checked indicate total strength of Luftwaffe transport a/c in all theatres ranged from a low of about 400 to a high of about 700 by July '42. Of course they couldn't send all to Stalingrad, but bombers were pressed into service as well. As I've previously pointed out, what they needed most was better airfields, ground organization, and a system in place to allow the planes to navigate to those airfields successfully in almost any weather. If they had excess manpower those men should have been pressed into improving the airfields or even constructing new ones. Devoting a portion of the airlift to materials to build such airfields along with hauling in navigation beacons and the like should have been given a priority. This would have greatly increased the efficency of the airlift. But, the Germans were never very good at efficent civil engineering during the war. The OP is very questionable , as no one knows what means'' adequate air supply '':the figure of 300 ton is plucked out the air . What most people forget is that the not encircled forces also had to be supplied and that we don't know what the amount of supply was that they needed ;we also don't know how much supply the 330000 Stalingrad forces needed before Uranus,and what they received .From what I have read there were already big problems before Uranus ,caused by a combination of factors as : shortages of supplies in Germany, railway problems, etc . If the encircled and non encircled forces needed the same amount of supplies : example :for both the figure of 50,how could the LW fly 50 to Stalingrad (if 50 was available ) ? When supplies arrived (this took weeks )at the railway stations,they were unloaded and transported by trucks to depots and there to the units .The problem was that additional trucks were needed to transport supplies from the depots to the airfields and that it was probable that during the winter less supplies would arrive . After the war the Army blamed the LW who blamed Hitler and Goering . The figures OTOH do not support the idea that the LW was responsible:during the 70 days of the siege of Stalingrad, the LW transported 6591 ton, an average of 94,16 ton per day . 25 january-2 february :779 = 77,9 per day . Would it have been possible to use a boulevard. I remember that Cholm saw city streets used as landing strip? Most likely one could be used assuming it was wide enough, long enough, and flat enough to be used as a runway. That only solves one part of the problem however. There is still the navigation, turn around time, and landing and take off pattern to consider. In Richard Mueller's The German Air War in Russia he gives a complete list day-by-day of the Stalingrad airlift. It's really pretty pathetic. There was usually a bit over 100 aircraft available for transporting supplies in. On almost every day less than 100 sorties were flown into the encirclement. On only three (3) days of the airlift did the tonnage delivered exceed 300 tons, the stated minimum necessary to sustain the encircled units. Most of the time it barely exceeded 100 tons. The biggest problems were accruately dropping and recovering supply canisters, navigating in poor weather to include opertating the airfields in poor weather, and being able to find the available airfields in the pocket. The Allies solved this with the Rebecca / Eureka system. Rebecca was a large but portable (and air droppable) homing beacon. 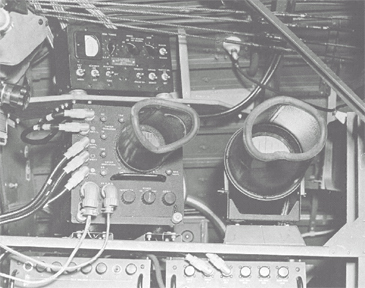 The Eureka homing system was fitted to most Allied transport planes. The two worked together to ensure drops were accurately made and planes could find their drop zones. 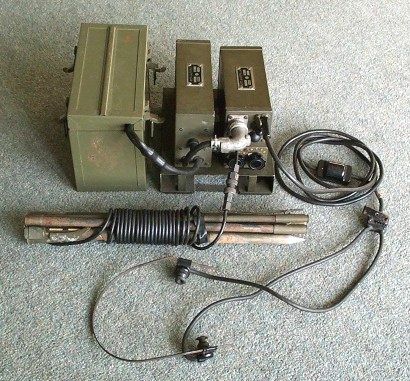 At Bastogne the 101st and US troops surrounded there received virtually all the supplies dropped to them because they had these sets in use and the planes could make extremely accurate drops. At Arnheim, the British 1st Airborne had these sets but lost 5 of 6 due to their failing in service or being captured. That made accurate resupply all but impossible and they failed largely for that reason. A dozen such sets in the encirclement and planes fitted with the homing system could have made all the difference in delivering supplies to the troops. But, the Germans didn't have such a system available. In terms of what was needed. There were 200-250k men in the cauldron, 10-15 full strength divisions. A division used ~100-200 tons of supplies during active defence. That's about 1500 tons/day in case of all-out sovjet attack. The Germans had about 100 to 125 aircraft available for the airlift on any given day, give or take a bit. This is out of nearly 600 that were eventually assigned to the airlift. They needed to fly about 130 to 150 sorties to deliver 300 + tons of supplies. They pretty consistently flew 100 or less (often significantly less) per day during the airlift. So, it wasn't a matter of aircraft available. It was a matter of the organization and efficiency of the airlift that caused it to fail first and foremost. We could start with poor aircraft serviceability, maintenance, and operational technique. Next, the airfields outside the pocket were actually pretty crappy and there was little attempt made to materially improve them. Then you have the commanders assigned were all combat ones. There wasn't a logistician or other organizer in the bunch, so the Luftwaffe wasn't applying any sort of effort to improve the airlift's efficiency beyond very tentative and experimental methods since those running it had little or no experience with what it would take to make the operation efficient. It's interesting to note that the He 111 units assigned actually flew the bulk of the sorties as their crew and ground support staff had greater experience with operating in cold weather than other units. Yet, there appears to be little attempt made to systematically apply what these units knew to the practice of other units. Instead, it seems the Luftwaffe was content to allow each unit to learn what worked on its own for the most part. If one were to assume a 50% increase in serviceability of aircraft and an equal increase in sortie rate the airlift would likely have succeeded. If we add that the efficiency of loading increased the tonnage delivered by even 5% it becomes far better. The Luftwaffe had the capacity to make the airlift work in terms of aircraft. What they lacked was the civil engineering and logistical skills to make it possible to use those aircraft at anything above a tiny fraction of their capacity. What if from November the 24th the Luftwaffe provided a consistent daily supply of around 500 tons of tons of rations, fuel and ammunitions to the encircled 6th army? The 300 tons figure is plucked from the air: the 250000 men encircled is too high; nobody knows how much supplies were available in the cauldron at the day of the encirclment, and given that the strength of the encirckled forces was decreasing every day, the result was that every day less supplies were needed .There was no all-out sovjet attack. ljadw wrote: The 300 tons figure is plucked from the air: the 250000 men encircled is too high; nobody knows how much supplies were available in the cauldron at the day of the encirclment, and given that the strength of the encirckled forces was decreasing every day, the result was that every day less supplies were needed .There was no all-out sovjet attack. The 300 ton figure is given as an example. The approximate numbers (AFAIK) are 90k captured after surrender, 16k captured before surrender, 40 k evacuated. So chances are that a figure between 200k and 250k is very close to truth. I agree with the lack of all-out Soviet attack, but if supplies are better either there will be an attack (meaning there will not be other Soviet attacks elsewhere), or Axis forces in the pocket can attempt a break-out themselves.